I’ve become quite a fan of the NPR Tiny Desk Concert series. They bring in quality artists to perform with minimal instruments, which means that even if it’s an artist you’re familiar with, you’re going to hear them in an entirely new, unexpected way. In a world dominated by over-produced music, it’s refreshing in its simplicity. I never heard of Fantastic Negrito before listening to their Tiny Desk concert. After the first song, called “Lost In A Crowd”, I became an instant fan. It’s a simple yet powerful tune—dude has soul. The song has three distinct A, B, and C sections, beginning with the A section phrase above. The ensemble is in unison here to neat effect. The first thing you’ll notice is that the tune is in E minor. You’ll also notice the compound meter of 6/8. Given the blues sound, we’re definitely going to be dealing with the E blues scale. In fact, it doesn’t take long for the E blues scale to reveal itself considering we have a blue note (B-flat) in bar 2. Here’s the B section or verse. Although the piano sometimes ventures out on its own, adding embellishments on top of the basic phrase, the backing instruments are once again in unison here. Now, notice the C♯. Since we don’t encounter a C natural here, this section is in the Dorian mode, E Dorian specifically. 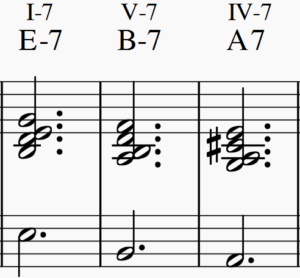 The Dorian mode is a major scale with a minor 3rd and 7th rather than a minor 3rd, 6th, and 7th that produce the natural minor scale (or Aeolian mode). The graphic below illustrates this idea. 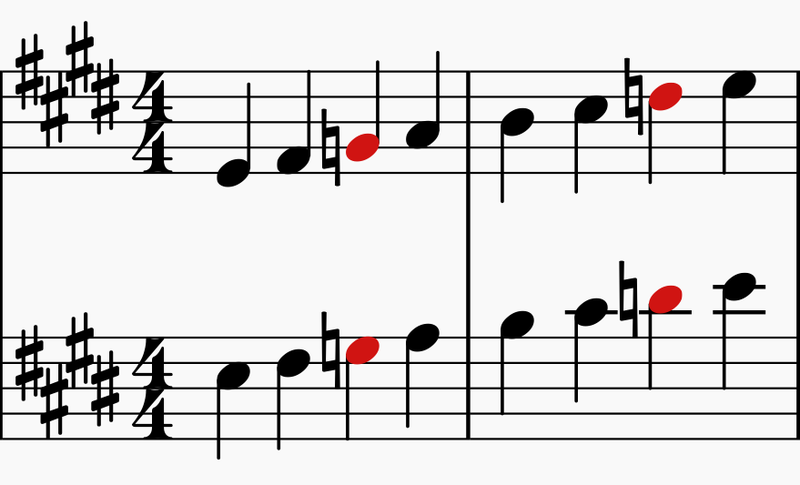 You can clearly see the G natural and the D natural highlighted in red are lower than they are in the original key by a half step, producing a minor third and minor seventh, respectively. This gives us E F♯ G♮ A B C♯ D♮ which are exactly the notes we’re dealing with in this song. The B section is also the section the pianist solos over, and you’ll hear the C♯ in his solo too. Lastly, on to the C section. We hear the C♯ once again and since this is the last section and we’re still without a C natural, I’d actually consider this song to be exclusively in E Dorian. Overall, this is a compelling blues-influenced song with a strong melody and an arrangement to match. What I like the most, though, is the simplicity of all three sections. It’s testament to the song’s quality that you’re still captivated despite the accompanying instruments playing in unison for the majority of the song. I’m definitely keeping tabs on Fantastic Negrito from here on out.